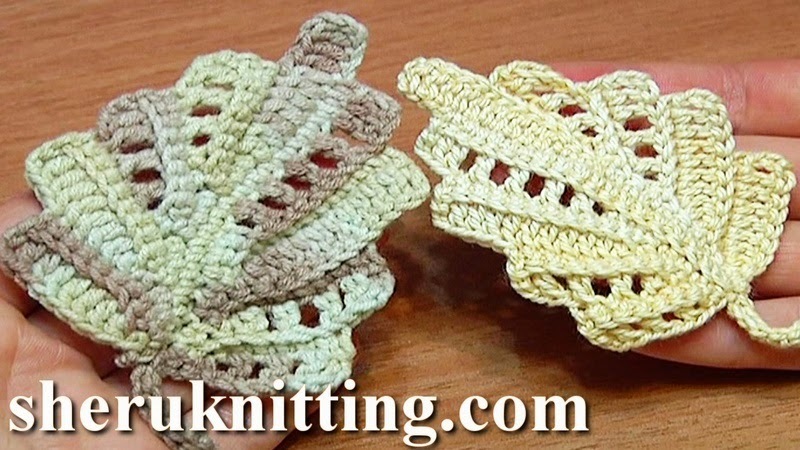 Learn how to crochet this beautiful leaf working stitches in back loops. In part 1 crochet tutorial 22 we will complete a half of the leaf where we will be making rows of double crochet stitches and rows with chain spaces. Good luck! Crocheted leaf was made with Steel Crochet Hook 2.25mm (which is #2 US standard) and yarn: 55% Cotton, 45% Polyacrylic, 160m/50g, 5ply.